Lime scooters are used by riders over the course of the day. At the end of the day, most of the scooters have low battery, so Lime needs someone to charge these scooters. Lime has 10s of thousands of scooters so they employ contract chargers to pick up scooters and charge them in their homes every night. 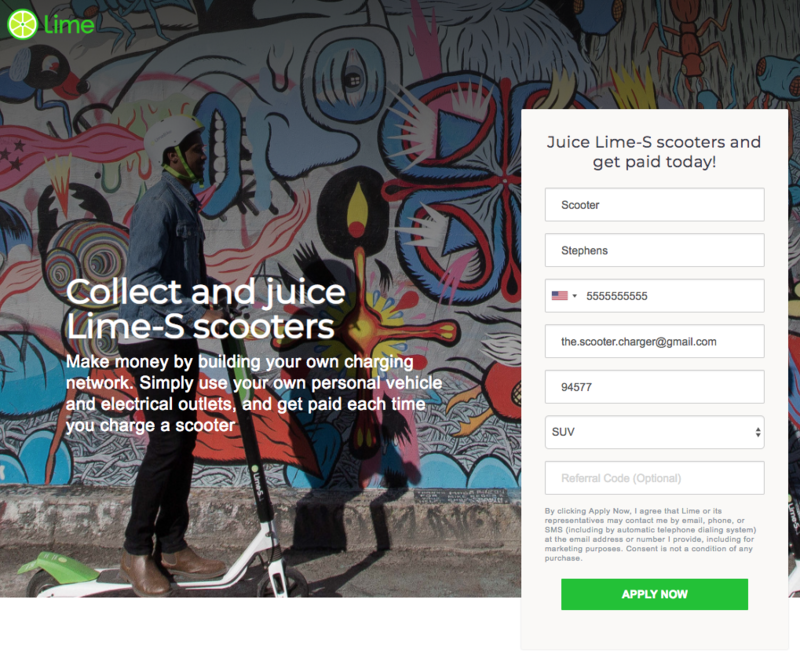 You will need to wait for Lime to approve you as a charger and send you charging cables before you can make money by capturing scooters. Lime prioritizes cities where they need people to charge scooters. That means Lime scooters have to be in your city. If you apply and you live in Manhattan, where scooters are banned, you will not get approved. Lime wants to get a lot of chargers as soon as they move to a new city. 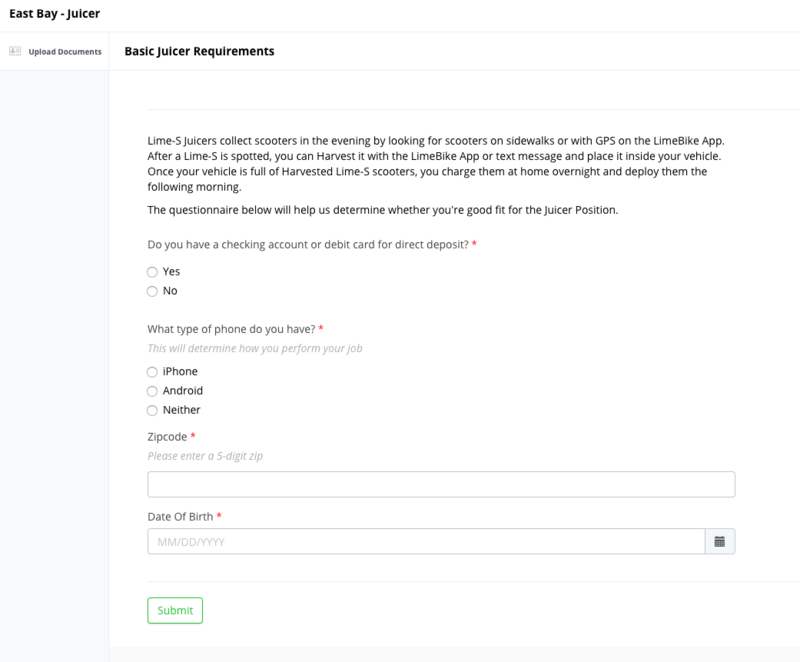 So if you apply earlier, you will have a stronger chance of getting approved. And as soon as Lime moves in, you will be able to make the most, easy money because there will be less chargers to compete against. Below are the current cities that Lime is operating in. But not all of theses cities have scooters. Lime started with bikes and Lime juicers cannot charge Lime’s bikes. 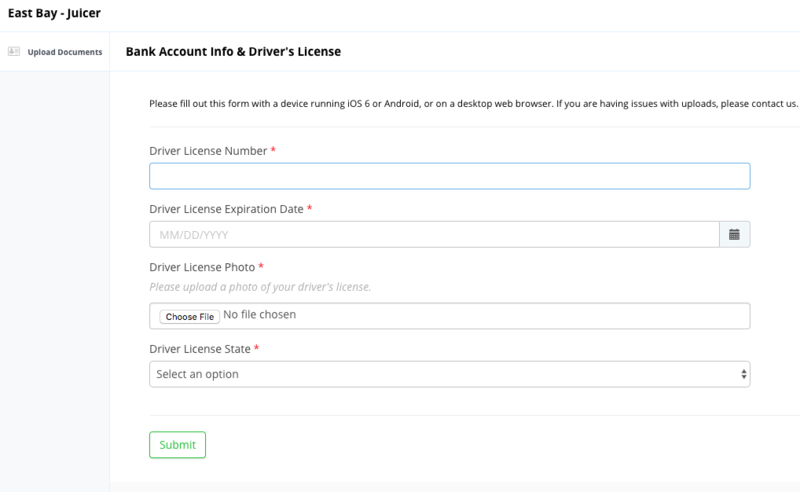 If you are in a zip code that Lime wants chargers, you will be redirected to a website where you can fill out your information. If Lime is not yet in your zip code, you will be contacted by Lime when they plan on coming to your area. You will need a checking account / debit card, phone, and be older than 18. You will then go thru a 5 step course where you will learn how to pick up, charge, and serve Lime scooters. 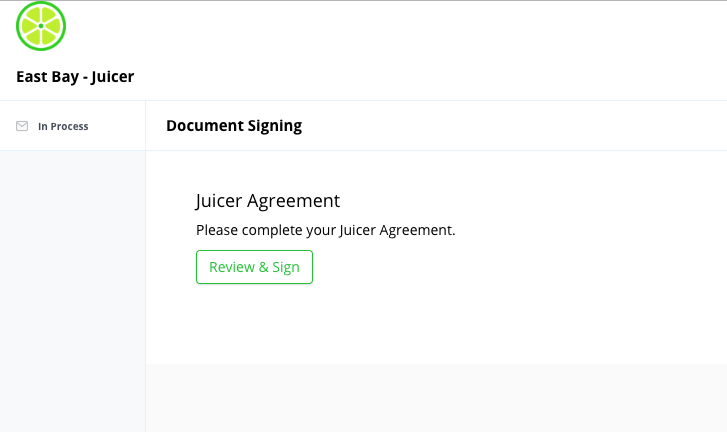 You’ll have to sign a form that will define the legal relationship between you and lime. 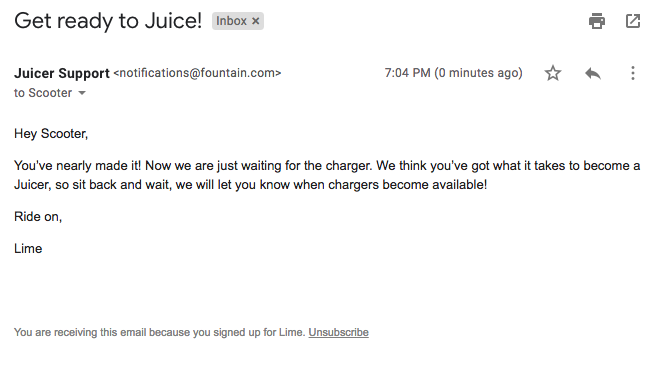 Now you will need to wait for Lime to send you a text / email about charging cords. You will have to wait for Lime to follow up with you.